Comet to sponsor Who Wants To Be A Millionaire? 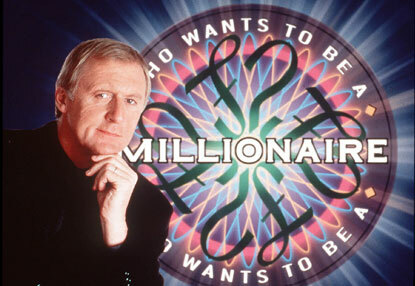 LONDON - Comet, the electrical retailer, has signed as the sponsor of the ITV1 gameshow Who Wants To Be A Millionaire?. The retailer has signed a deal to sponsor the autumn run of the show from September through to November. Addiction London has created a series of idents including 15-second pre-roll, ten-second break bumpers and five-second end spots to support the sponsorship. The idents feature Comet staff being quizzed by customers and answering product-related questions followed by the line "Whatever the question – Comet, sponsors of Who Wants To Be A Millionaire?" ZenithOptimedia, Comet’s media agency, negotiated the deal. Bill Moir, the head of marketing at Comet said: "We’re delighted to be partnering with such a high-profile and popular TV show – our established colleague training is one of the most advanced in the market, which sets us apart from other retailers and the sponsorship is the perfect platform for us to demonstrate our staff’s expert knowledge to our customers."